Rob Howe spent 30 days using only over-the-counter, old school insulin from Walmart. Why? He has insurance, he can afford newer insulins and he normally wears the newest Medtronic hybrid-closed loop pump. But he says he had a scare when he thought he might not have the money to buy his regular insulin and he realized that he could educate others about how to do it. Under the care of a CDE, Rob gave up his pump and switched to older NPH and Regular insulins. We talk about how it went, what he learned and why this is not the answer to rising insulin prices. Rob is the host of Diabetics Doing Things and is a former Washington Generals player! Stacey gets him to talk about playing against the World Famous Harlem Globetrotters. In our Know Better segment, a couple of follow ups as Tandem goes international to Canada and Scandinavia and a previous guest, Christel Oerum, is out with a new book. 2:00 Stacey welcome, talks about over the counter insulin and mentions a few articles with more information. NPR: "You Can Buy OTC Insulin, But Should You?" JDRF's President and CEO Derek Rapp joins Stacey for a wide-ranging interview. We talk about everything from stem cells to insulin prices to what JDRF is doing for adults with type 1. Rapp has headed up JDRF since 2014 and has a son with type 1. He shares his story and answers your questions. Note: This interview was taped before the Special Diabetes Program had been extended. SDP is the program that gives $300 million for diabetes research to the National Institutes for Health. Stacey & Derek talk about SDP and we left those questions in to give you a better idea of what the program is all about. In our Know Better segment, Stacey gets personal about a health procedure she had recently and talks about self care. She references this article about stress and parents of children with chronic illness. And she explains how a colonoscopy can be a perfect way to spend Valentine’s Day. Really. 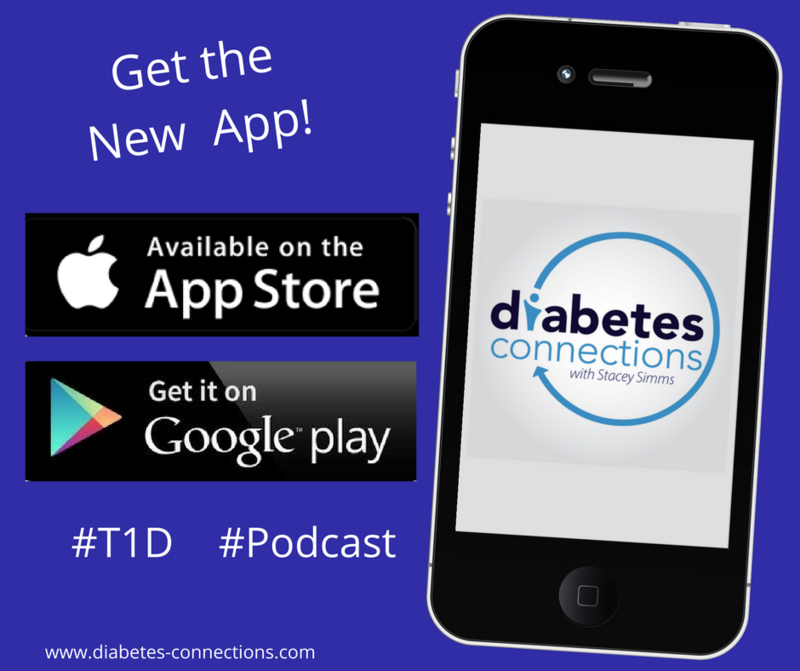 Plus, #DPodcastWeek wraps up with a promo for Diabetes Daily Grind's Real Life Diabetes podcast. 2:00 Stacey talks about her past involvement with JDRF and shares a story about Dr. Mark Parker (read here), the retiring head of her local endocrinology practice. 47:15 Feedback from last week's episode. Should people with T1D be wary of marrying someone else with it? We got a comment about increasing the genetic risk for children with T1D and that sparked a great discussion in our Facebook Group. We're celebrating Valentine's Day with a great story. Amy & Andrew Sturniolo met and fell in love at Diabetes Camp, and that’s also where they got engaged. This week, hear the story of those now-newlyweds and find out how Andrew got all of Camp Kudzu to help him propose. Watch the proposal video (Amy is stunned)! In our Know Better segment, learn about Spare a Rose, Save a Child. You can help save a life for the cost of just one flower. It's also Diabetes Podcast Week. For the third year in a row, Stacey has organized more than a dozen podcasters to help promote Spare a Rose and to share each others' shows. Find out the latest from Tandem, makers of the T:slim insulin pump. Spokesperson Molly McElwee Malloy shares how close they are to a hybrid closed loop, which they're calling Control IQ, and other products. Malloy. diagnosed with type 1 as a young adult, was in one of the first artificial pancreas trials back in 2006 (not with Tandem). Also a nurse & a CDE, she talks about her personal story and why she's excited about this technology. In our Know Better Segment.. two potential and very small insulin delivery devices are getting big grants. And.. it’s almost time for Diabetes Podcast Week! 1:30 Stacey welcome / explains a bit about the Tandem interview and the ATTD conference.